True fans, concerts around the world, chart rankings, cover stories in music magazines: with his band The Beauty of Gemina, Michael Sele has achieved quite a lot. When fans travel 1,000 kilometres simply to see a band, it must be something quite special. This is true for The Beauty of Gemina, the formation around gifted songwriter and charismatic singer, arranger, and producer Michael Sele. Nothing here is accidental. Not the music, which brightens the spirit and, at the same time, skilfully celebrates the aesthetics of darkness. Not the subject or the lyrics, which gently and poetically illuminate the many facets of human existence: hope, fears, conflicts, desires, passions, and love. Not the massive community of fans, which stretches across all of Europe and to South America and Mexico. This is the well-deserved result of their highly consistent steady evolution over many years. 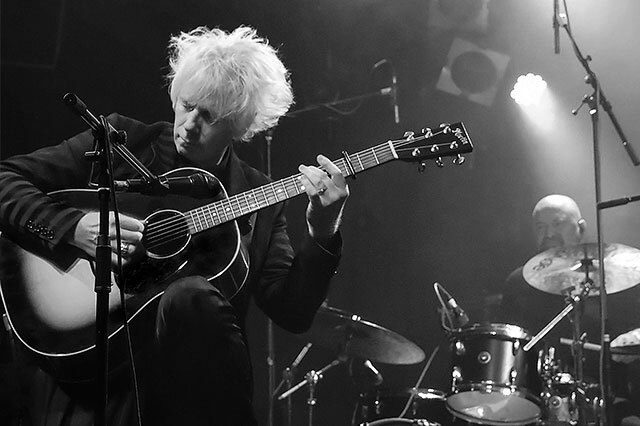 But The Beauty Of Gemina is an exception in the Swiss music scene in every respect. Over the past ten years, they have lined up one success after another. Few other Swiss artists can really claim to possess the headliner qualities needed to grace the interior of Rolling Stone and the covers of many other music magazines. The cover story of the October issue of Sonic Seducer magazine is currently dedicated to The Beauty of Gemina. No surprise that the band regularly appears first and foremost at the top of national and international charts. Those who still try put THE BEAUTY OF GEMINA under “Dark Folk” or “Dark Rock” – tending towards dark, even longing, but full of optimism, never sad or resigned. What’s more, The Beauty of Gemina also has a loyal and rapidly growing fan base outside of their home country. The band has already played over 250 concerts – some sold out – in 25 countries, bringing them across Europe and South America and even to Mexico. They are welcome guests at Swiss festivals such as the Open Air Gampel, Stars in Town, Sounds of Glarus, Greenfield, or theMontreux Jazz Festival. The same goes for renowned international festivals such as M’Era Luna, Amphi-Festival, the Castle Party in Poland, or the WGT in Leipzig. The fascination with The Beauty of Gemina lies in the music’s “dark sophistication” (Sonic Seducer). Meaning: in the charisma of singersongwriter Michael Sele, whose pleasantly dark-timbred voice leads listeners through the new album “Flying With The Owl.” A pensive album full of endless beauty. A must-listen for of Nick Cave or The Cure. And one that will send the band on many more trips around the world and will grow their fanbase. Michael Sele brought in a series of internationally renowned guest musicians for the new live production, some of whom were already a part live ensemble for the successful Flying With The Owl Tour in fall 2018: Nice-based Swiss musician Raphael Zweifel on cello, who was heard with the Toten Hosen on their acoustic tour, among others. On violin there is Eva Wey, famous fiddler and experienced Swiss folk violinist, and on guitar Argentinian guitar wizard Arial Rossi. Longstanding musical companion Andi Zuber on bass and exceptional drummer Mac Vinzens complete the illustrious ensemble. Their accented and energetic playing gives the songs their rhythmic compactness and the necessary push.